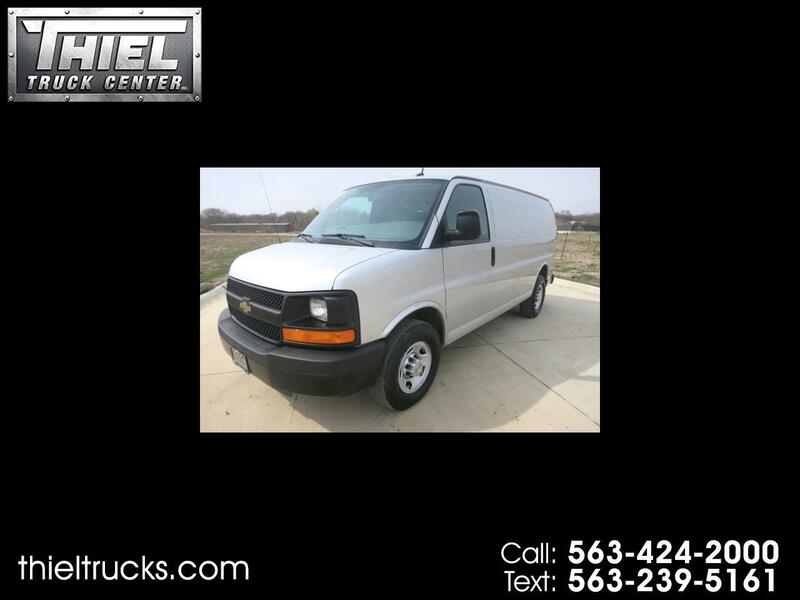 ***** 3/4 TON CARGO VAN *** ONLY 88,000 MILES *** JUST IN! **** This is one hard to find Cargo van. 2012 Chevrolet Express 2500 Cargo van. The van is set up just the way you would want in. Full power package, Cruise control, 4.8L V8 engine, Tow package, Side and rear windows, Bulkhead, Shelving package, Insulated and lined walls, rear window protectors, and a 1500W Inverter. 100% Ready to go to work. The Van is also a Carfax Certified 1 Owner and 100% Accident free. It even comes with service records and all new brakes only 6,000 miles ago. Nice 3/4 ton cargo vans are hard to find for this price. Call or Text us now before this one is gone.